Miss Green from McCutcheon will be DJing at Uptown Lounge throughout the event. Stop by to get your groove on! 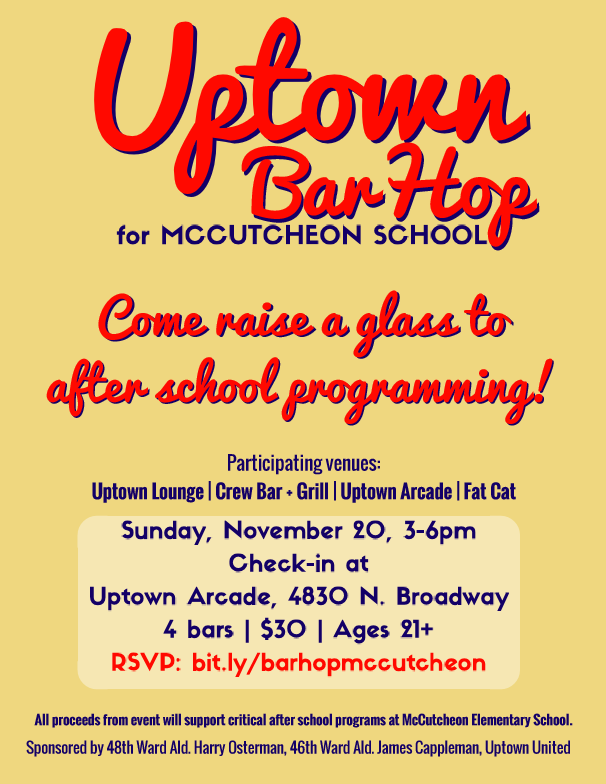 Fat Cat will donate 20% of bar and food sales during the event to McCutcheon. Please mention the school when ordering. Crew will donate 10% of bar and food sales from 3pm -8pm on the day of the event to McCutcheon!